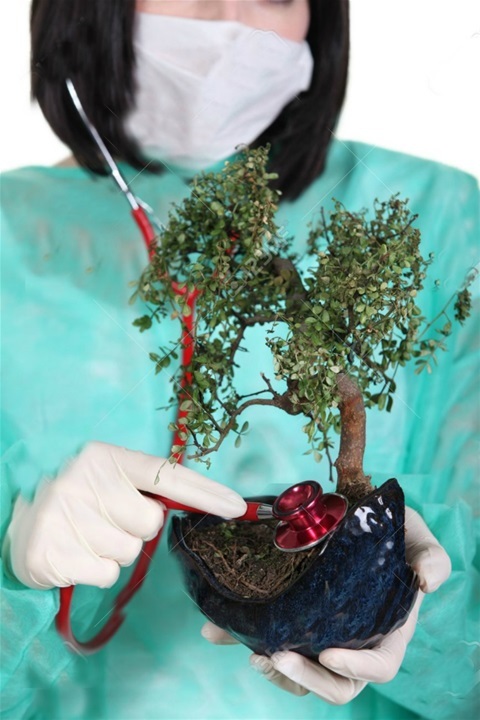 Yes, a familiar sight....but we can usually get your bonsai back to health again! It is necessary to repot bonsai trees to ensure that they remain healthy and continue to grow well. Well developed fibrous roots are essential for balanced, even growth and these are produced by root pruning. 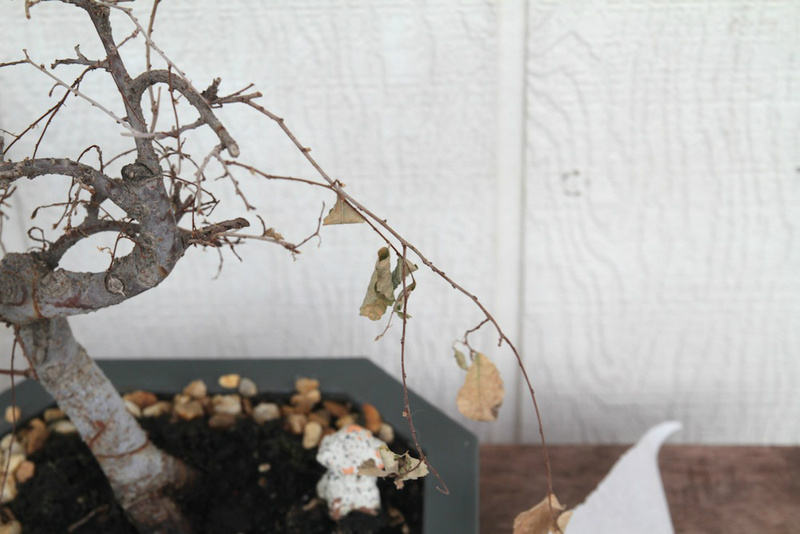 With a compact root system, full of fine, fibrous roots, the bonsai will be able to take up the nutrients which are essential for its well being. 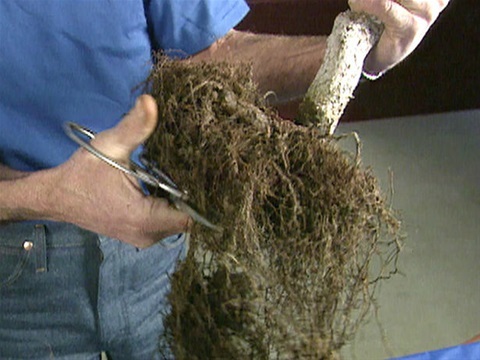 It is a misconception that root pruning is responsible for the dwarfing of bonsai trees, as this is achieved by branch pruning techniques. What the root pruning will encourage is more budding on the branches which in-turn will create a more 'tree-like' appearance. It is often said that what see in a tree above ground...is a reflection of what is under ground. The bonsai will usually be potted back into the same pot; but this another subject to tackle! 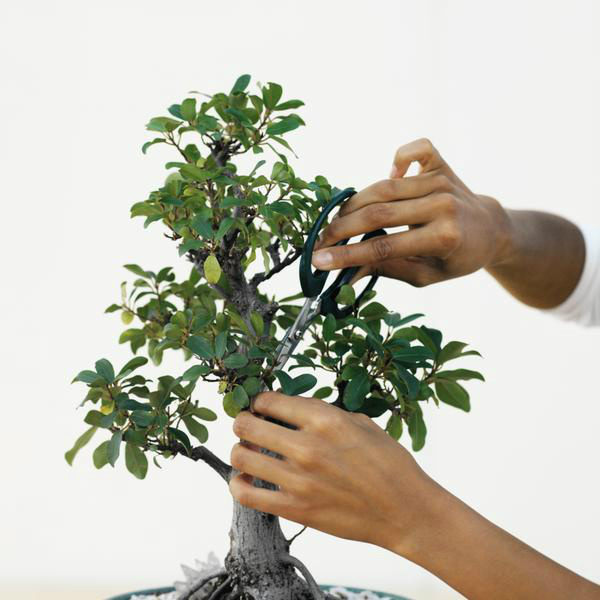 Use small, sharp scissors to prune bonsai. Only trim the stems, not the leaves, of a ficus as trimmed leaves take on an untidy appearance and turn brown. Choose a style of shaping, including slanting and formal upright. Make a sketch of the desired shape and mark which branches need to be removed, including any that grow upright, cross one another or grow inward. Also plan to remove one branch in two that form directly opposite, creating an alternating branching habit. not purchased from us incur a fixed fee of 150/- dhms for our best possible efforts to return your tree to health, this is not always possible...but we will do our utmost! As of 1st January 2018, regretfully, we must start charging for 'Holiday Care'.